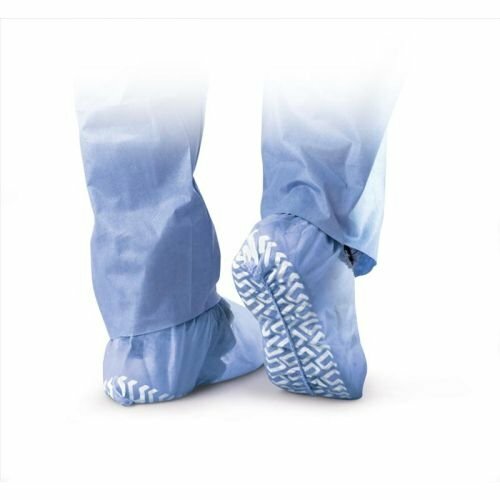 Our shoe covers are latex-free and consist of breathable, fluid-repellent material. The tread on bottom provides excellent traction. Generously sized for full-coverage protection. Sport size fits almost any athletic shoe. View More In Shoe Covers.